It’s with heavy hearts that we announce the passing of Laura Knaperek on March 3, 2016 at her home surrounded by her devoted husband, Robert and six children. Beloved wife to Robert (Bob “K”) for 38 years and cherished mother of Jeshiva (Rik), Christopher (Ellen), Beth (J.R.), Sarah Jo (Edward), Phyllis (Spencer), Anthony (Jessica), Laura is survived by her family and brothers, James (Ana) and John (Lynzie), her 19 grandchildren and one great-grandchild. She is predeceased by her mother, Phyllis Rita and father Giacamo (James) Salvatore Daidone. Born in Chicago, IL she spent her childhood in Park Forest, IL where she attended St. Mary’s grade school and graduated from Crete Monee high school. In 1977, Laura and Robert married in Park Forest, IL where they raised their eldest children, Jeshiva and Christopher before planting roots in Arizona in 1978 where they continued to grow their family with Beth, Sarah Jo, Phyllis and Anthony. Together, Laura and Robert created their family filled with love, compassion, tradition and faith. Her greatest love was always her family. Laura was a relentless advocate for the most vulnerable in our society always putting the needs of others before herself. She was respected voice in the state legislature. 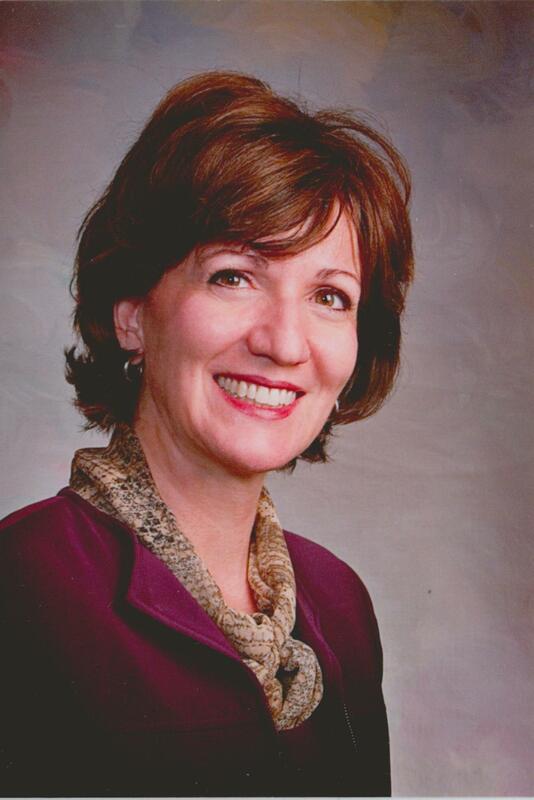 Laura was first elected to the Arizona State House of Representatives in 1994. She compiled a conservative record while taking an avid interest in youth and family issues. A natural born leader, faithful member, devoted wife, loving mother and nana, daughter, sister-in-law, aunt, niece, cousin, friend and colleague, Laura will deeply be missed and fondly remembered for her strong values and morals, faith, selflessness and service. A visitation will be held Tues., March 8, 2016 from 6-8 PM at Bunker’s Garden Chapel, 33 N. Centennial Way, Mesa, AZ. Funeral services are Wed., March 9, 2016 at 10 AM, preceded by a visitation at 8:30 AM, at the LDS Lakeshore Ward, 6001 S. Lakeshore Dr., Tempe, AZ. I only met Laura in January 2016 but had an immediate connection that made me want to do anything and everything to help her reach her goals. My regret is that our paths didnt cross earlier so that we could have been life long friends. She touched my heart in the short time I did know her. She is in my thoughts and prayers. I will never forget Laura. Blessings of peace and comfort to all who love her. The loss of Laura will leave an hole that cannot be filled. Her determination and loving advocacy for those who could not help themselves made her a true hero. My heart hurts. I miss her. Robert, please accept my prayers for you and your family. The Knaperek family has always been my second family. I am truly sorry for your loss. It’s so heartbreaking to lose this magnificent young woman that was loved by everyone. She was the best mother and wife and friend to everyone who was fortunate to know her. I met Laura 38 years ago and we became instant friends. My only regret is not spending more time with her. There is a hole in my heart that will never be able to be filled because of the loss of Laura. There are no words to describe this incredible person that will never be forgotten that will be in our hearts and souls forever. Laura, I love you! You have always been an inspiration to everyone around you. Thank you for your kindness, leadership, love, and ambition. You have single-handedly brought about great, positive change to all in everything you have found passionate. May you continue in that journey until we meet again. We will surely miss you but remember you always. Laura was a wonderful and dearly loved friend…a Teal Warrior till the end. I send my Deepest Sympathy to her loving and devoted family at this very sad time. Laura will always have a place in my heart. I know she rests peacefully in the Light of her Lord. May her Memory be Eternal, Blessed Repose. Till we meet again. She was so kind to me, reaching out when I was a scared, condused Freshman legislator and going forward. Always a smile, a word of encouragement, great advice and a deep understanding. She was, and continues to be, an exemplary role model. Her actions and words on behalf of Arizona’s most vulnerable earned her great respect here on earth, and even more so a place at God’s side in Heaven. Rest in Peace and know you are sorely missed. Dear Family Kanapra, Our Heard is with all of you, in this dificult time. She was a bella persona all the way. Dear Family knapeerk, Our Heard is with all of you, in this dificult time. She was a bella persona all the way. We were very saddened to hear of Laura’s passing. It’s a great loss to family, friends, and community. We wish her family well. Laura has had an everlasting impact on my entire family and generations to come because of her leadership abilities, patience, and desire to share the gospel we are blessed know know that we will all see her again. Family is forever. Thank you for the beautiful life that you lived. Prayers to her family at this time. Laura’s the best. She sponsored the first big bill I worked on and was so dogged in her pursuit of it. (Of course, the bill passed.) She’s always the most caring, kind, and helpful person in the room, and had the best sense of humor to go right along with it. I miss her and send my prayers to her terrific family. We are sorry to hear of Laura’s passing. In lieu of flowers we have chosen to donate to the American Cancer Society in Laura. The family is in our prayers God bless. I met Laura during the Romney Campaign. She was wonderfully helpful to me and I liked her right away. I regret that we were not able to see each other more often, and I had not known her earlier. My thoughts and prayers are with her family and her many friends. Laura, you will be missed by your extended family of friends. You always welcomed everyone and had great insight. You brought Lauren to my son Jack which has given me 3 wonderful grandchildren. I thank you and know that you are out of pain and at peace. Sometimes the strongest among us are the ones who smile through silent pain, cry behind closed doors, and fight battles nobody knows about. Laura you are an inspiration to us all. We shall meet again. the angels. She is your Guardian Angel…God Bless. I WILL KEEP YOU IN MY THOUGHTS AND PRAYERS..! I want to express my deepest condolences Laura’s family.